Can prospective buyers find your company when using search engines to look for products and services that you offer? Over 90% of today's customers begin their journeys with an Internet search, and the first 3 search results receive over 50% of this traffic. When your website's at the top of the pile for a particular Google search, you're in the pound seat to generate high volumes of quality business leads through your website. SEO transforms your website from a simple online catalogue and informational resource into an active, 24/7-365 sales platform. And that's why it's one of the most critical marketing activities your business can invest in, with high ROI at relatively low cost. CubicICE is a premier SEO company in Johannesburg, and a Google Partner, SEO-Certified Professional and Member of the Digital Analytics Association, with over 20 years of search engine marketing experience. We specialise in helping medium to large businesses in South Africa and Africa grow their online market share to drive and convert high-quality, high-intent traffic into important business leads. SEO is the process of increasing web traffic by improving the visibility of your website in the organic section of search engine results pages (SERPs) of Google, Bing, Yahoo!, and other engines, for relevant search terms. These listings are 'unpaid'; they're earned through the production of high-quality content that the search engine considers the most relevant to users. But what exactly defines 'high-quality' content, and how do search engines even understand relevance? That's where an SEO specialist that understands the inner mechanics of search engine algorithms, and the way these engines interpret data proves its worth. The role of your SEO company is to create, adjust and rewrite website content according to current search engine algorithms so that you can achieve a higher ranking in the organic search engine results page. This includes everything from refined, accurate semantic keyword use that allows search engines to better understand your page content, to optimised images and clean and in-line code that allows a faster website experience. 9 out of 10 business buyers begin their purchase with a Google search. Make sure they find you! INCREASE TRAFFIC TO MY WEBSITE! Capitalise on user search for the products and services you offer by being listed higher on search engine results pages. The biggest advantage of SEO is increasing high-intent leads, which means more sales. Don't get left behind! SEO is organic (unpaid) traffic. You're not paying for prime advertising space, but earn it through quality website content. Mobile will soon be the medium of choice for most users in the future, and search engines reward mobile-friendly sites! Having your website appear more frequently in search engine results means increased exposure to your brand. Tracking rankings, traffic and conversions allows us to measure your ROI, as well as tweak campaigns for even greater success. Knowledge, planning, implementation and management are the key factors that separate us from the hundreds of other SEO companies in South Africa. CubicICE's philosophy is that the effective use of the Internet is not just about having a website presence, offering products for sale through the Internet or even being in a position to advertise online, but, more specifically, how the company will use the Internet as a strategic business tool to improve business activities, reduce operational costs and improve profitability. Every product and campaign is unique, based on keyword selection, target market, online competitiveness and volume of online search. These factors can impact on results and the cost-per-conversion you can expect. CubicICE will always evaluate your precise business requirements before assessing the role SEO might fulfil as a tool to meet these objectives. 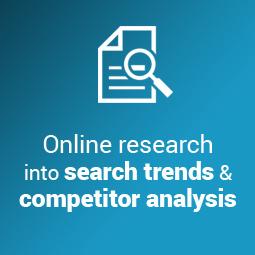 Working closely with our clients, CubicICE will firstly identify both brand and non-brand-related search terms and search trends, with the objective of understanding monthly search volume, search intent and competitiveness, followed by establishing a ranking priority list. This list can be anything from 20 to 200 search terms to start. We're a Google Adwords expert, and have an excellent understanding of the role of semantic keyword universes that will underpin high-intent search engine traffic. 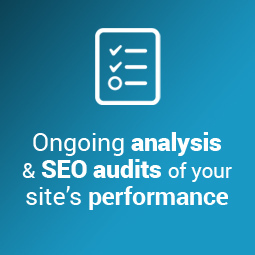 If you already have a website in place, CubicICE will do a full SEO audit on your site and identify gaps in content and technical architecture that are preventing it from gaining a higher rank within Google organic search for priority search terms. From there CubicICE formulates a search engine marketing strategy detailing objectives, timing and required effort planning. In most cases we use SOSTAC® methodologies, a proven approach in digital strategy that provides a holistic framework for the entire project and allows for in-	depth, systematic and calculated planning and assessment for each component of the job. Across our SEO services, we use a variety of tools and analytical reporting data to truly understand your website marketing performance. This isn't just about generating reports, but digging deep into available data to extract meaningful intelligence that drives better online strategy and improved performance. This ongoing measurement and optimisation is required to maintain direction, assess progress and make tactical decisions on your campaigns in real time. Combine your SEO marketing with Google AdWords' display and search advertising platforms to take full advantage of search engine marketing. We use the full bouquet of lead generation services to target the complete buy cycle, from Google AdWords expert to social media marketer. Social media can boost your search engine optimisation efforts; increase brand awareness and engagement; and help you reach new audiences. 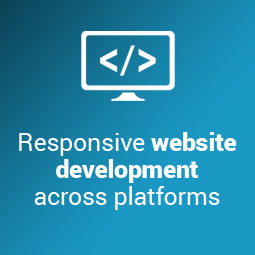 CubicICE delivers end-to-end, responsive web design and development services. Optimise for search engines from the ground up! In the fast-paced world of online marketing, we keep our fingers on the pulse of the most effective paid, organic and social media marketing techniques. We have full strategic email marketing capabilities, from creative and copy to database management, distribution, measurement and reporting. CubicICE is skilled in a wide range of development platforms and coding languages, offering clients various options in approaching a web build as determined by your own unique marketing requirements and business objectives. When it comes to larger website builds for businesses looking to increase their search engine market share, CubicICE developed its own CMS platform for inbound-based marketing websites. Developed in-house by our team of web developers, Swooji is a highly sophisticated CMS platform that features a modulated yet customisable approach to development. The system allows for continuing development, easy administration and regular content updates, all through a flexible website design. It is built to offer website developers with exceptionally efficient code architectures, thereby offering a highly SEO-friendly technical framework for your website marketing activities. Over 12 standard modules make up the platform; with additional specialty modules added if required. 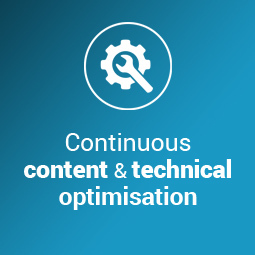 Advanced and flexible SEO capabilities are built into the CMS, allowing web content to be easily, efficiently and continually optimised for search engine rankings in Google. Just another reason why CubicICE is a leading SEO company in Johannesburg! A holistic, site-wide approach to SEO is the foundation for sustainable online growth. CubicICE is one of the top digital marketing companies in Johannesburg, having helped over 200 clients grow their business through innovative, tailored marketing strategies. From our Sandton-based office, we offer the full suite of SEO services to clients across South Africa and Africa. This includes a 1 000	+ page website for Africa's largest hydraulics and automation company! Get in touch with us for full SEO services in Johannesburg! CubicICE: Fourways Golf Park, Royal Troon (Building 10), Fourways, Sandton, Johannesburg, South Africa. CubicICE is ideally located to serve the wide network of businesses and companies in Johannesburg, Midrand and elsewhere across South Africa. From local companies in Johannesburg to large multi-national companies with operations across South Africa and Africa, CubicICE's intelligence-driven SEO services help companies increase their website visibility on search engines. Let's talk about growing your brand's online visibility!